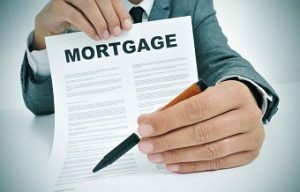 Find Your Perfect Mortgage Adviser Today Here at Trusted Mortgage Brokers, we source local mortgage advisers and pick the best ones in each area. Wherever you live, we'll find a mortgage broker you can trust to give you knowledgeable advice and support. Not everyone has straightforward circumstances when it comes to getting a mortgage. It may be that you're a first time buyer, and you're not sure how much you can borrow. You could be a landlord looking to expand your portfolio. Or perhaps you have a bad credit rating and want to know if this will affect your mortgage application. Whatever your situation, mortgage advisers in your local area can offer you expert advice. So, how can you find one suitable for you? Save time by connecting with advisers already in your area. Choosing a local mortgage broker has several benefits. HONESTY - impartial advice about the best options for you. All of our brokers are fully regulated, so you know you're getting advice from a reputable source. Their expert advice will enable you to make an educated decision about your application choices, the type of product that's most suitable for your circumstances and how you can maximise your chances in the local housing market. They'll also be able to look into more specific details about the financial side of your application. This includes how much you can borrow, the various income factors local lenders take into consideration (e.g. business dividends) and repayment terms. Moving house is often considered one of the most stressful things a person can undertake. Create a hassle-free process by using the services of those who have the expertise to keep things simple.